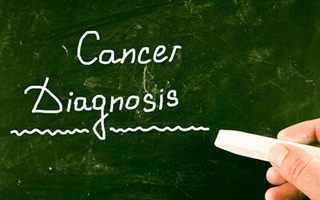 If you have a symptom that could indicate you have cancer, you probably know you should talk to your doctor about it. The earlier cancer is discovered, the easier it is to treat. But no one wants to have cancer – or even entertain the possibility that they might. So we tend to explain away symptoms. Or worse, we may not even know that our symptoms could be pointing to something so serious. According to a new study published in the journal PLOS ONE, this tendency is dangerously common. For the study, researchers asked 1,724 participants ages 50 and up whether they had experienced any of these issues: an unexplained cough, changes in a mole, unexplained bleeding, a persistent change in bowel habits, unexplained weight loss, difficulty swallowing, or unexplained lumps. They didn't tell the participants that these symptoms could be warning signs of cancer. Instead, they asked the participants whether they believed these issues were serious. Guess how many thought they were? A whopping two percent. That's right! Ninety-eight percent of the participants thought these symptoms weren't much to worry about, though over half of them had experienced at least one of these issues in the past three months. Unfortunately, these can all be symptoms of cancer. They aren't definitive, but they certainly need to be investigated by a physician. People may have a tendency to ignore the possibility that they're experiencing cancer symptoms because simply the thought of having cancer is too frightening to face. It's certainly easier to believe that your symptoms are caused by something less serious, but unfortunately wishful thinking isn't a cure. While it is certainly possible for these symptoms to have a number of various causes other than cancer, it's best to know for sure. If you've experienced any of these warning signs or have any other changes in your health, make an appointment with your doctor as soon as you can. If it's not cancer, you'll be able to have peace of mind and hopefully a solution. If it is, you'll improve your chances by identifying it as early as you can.